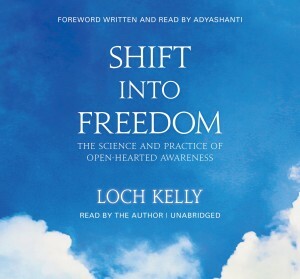 Today marks the new release of the unabridged audiobook Shift Into Freedom, read by Loch Kelly! The book has been a bestseller and won a number of Best Books of the Year Awards. However, this kind of subtle teaching is often best listened to and absorbed directly. There is a tradition in the East of communicating these kind of teachings by “ear-whispering.” Enjoy! Foreword read by Adyashanti. Humanity has made rapid progress during recent years in areas such as technology, medicine, and communications. Yet parts of our brain and consciousness still operate as if we’re living in primitive times. If we’re going to survive and thrive in the twenty-first century, we must consciously participate in evolving and upgrading our own operating system. Effective tools of awareness are very much needed now, if we want to preserve our planet and create a sustainable quality of life for all people. The good news is we can learn how to intentionally shift our awareness in order to grow into the next stage of human development. Shift into Freedom is a synthesis of ancient wisdom, modern psychology, and current neuroscience research. This is not a psychological or religious approach but an adult-education way of learning the map and tools to transform your own consciousness. The intention is to bring the process of awakening into our modern culture so that it can be studied, discussed, and included in the same way psychology and, more recently, mindfulness meditation have been. My focus is not on the psychological work that helps you prepare for awakening, but on how to welcome and detox your thoughts and emotions after you start awakening. It offers unique awareness practices for the body, mind, and emotions that can be done in the midst of your daily life. The result of these practices is the discovery of a deeper sense of wellbeing and peace of mind, along with a feeling of loving connection. Awakening is not too difficult if you’re interested and motivated. It’s like learning to read and write: we all have the capacity to awaken. 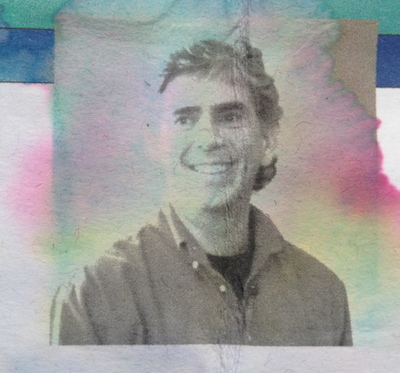 Many meditation descriptions and talks have been updated with modern metaphors. The emphasis here is to modernize the practices so that they’re more available to everyone. The open-hearted awareness approach updates what are considered advanced meditations. However, these methods are just as easy to learn as beginning meditation practices. Learning how to employ awareness to navigate, shift, and reconfigure your consciousness is the key to your freedom and happiness. Instead of using meditation only to enjoy brief periods of relief and stress reduction, you can learn how to develop into a stable stage of honest, clear, compassionate expression and how to awaken to your full potential as a human being. Shift into Freedom is designed to help you shift out of the separate, small sense of self that makes you feel alienated, alone, anxious, and fearful and into the support of awake awareness that is already calm, alert, loving, and wise. Once you shift into freedom, your true nature spontaneously emerges as a vast, interconnected ground of being. For more of Loch’s teachings and to order the new unabridged audiobook, follow this LINK.